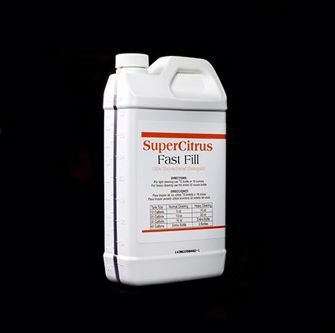 SuperCitrus is an ultra-concentrated detergent for all types of soils. This floor cleaning chemical is the safest heavy-duty cleaner on the market. Just one half of a bottle is enough for a 30-gallon solution tank in your floor scrubber. SuperCitrus is one of our most popular cleaning detergents for several reasons. Use SuperCitrus regularly for peak performance. It is recommended to apply liberally to tough soils and allow it a moment to work its magic. Also, use a grit type brush on your floor scrubber to enhance unfinished concrete and other industrial floors. SuperCitrus can be used in different environments like your home or workplace. Its ability to be used as a degreaser and general purpose cleaner makes it a top choice in floor cleaning chemicals.